Los Angeles is getting a new addition to its storied Jewish deli culture. Dreamed up by restaurateur siblings Jonah and Amanda Freedman, co-owner Nicholas Papadatos and young gun chef Liz Johnson, it’s unlike any Jewish deli you’ve seen before. 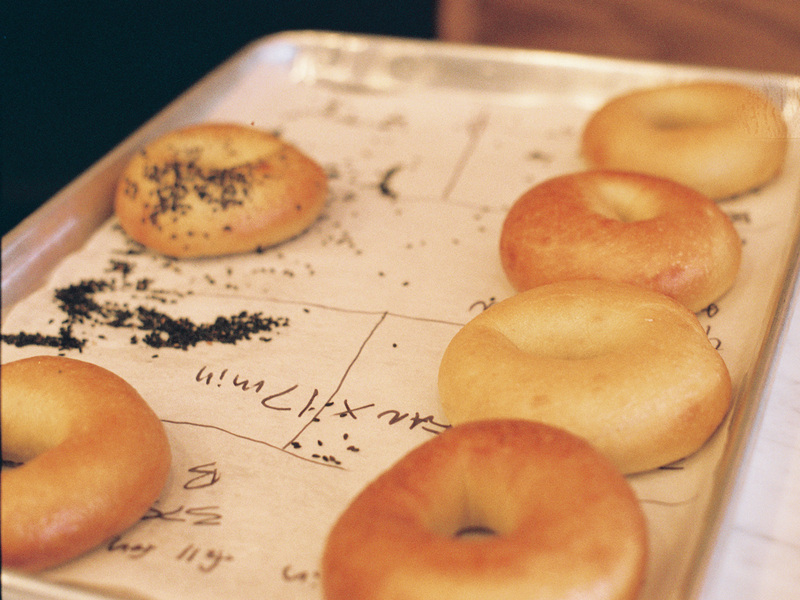 Talk about bagels on the East Coast and it will inevitably get heated. The argument appears two-sided. There are those who stand behind the fat, squishy New York-style rounds, and the rest seem to root for the denser, sweeter Montreal versions. However, for restaurateur Jonah Freedman, there’s a third option. He’s talking about the Toronto-style bagel, a smaller, fluffier variety. It’s his knockout winner in the great bagel debate. You’ll understand why in a few weeks. Freedman is opening his own Jewish deli—dubbed Freedman’s, naturally—later this month in one of the country’s most storied deli cities, Los Angeles. Over the last year and a half, he and his sister and co-owner Amanda Freedman bought an old Cuban restaurant in a sleepy strip mall in Silver Lake and transformed it into the Jewish deli of their dreams, complete with chevron oak floors, mutton-chop dinners and, of course, a New York-Toronto bagel hybrid. To accomplish that, he’s tapped Momofuku-tenured co-owner Nicholas Papadatos and chef Liz Johnson, the young, talented chef who has resurfaced on the West Coast after making the French brasserie-like MIMI an instant-hit in New York City. The idea isn’t exactly new. Over the last few years, we’ve all had our fair share of beet-cured lox and newfangled babkas at cheffed-up spots, like Sadelle’s in New York City, Wise Sons in San Francisco and General Muir in Atlanta. However, Freedman isn’t interested in going down that path—but rather carving out his own. That same energy shot through Los Angeles in its early deli days. 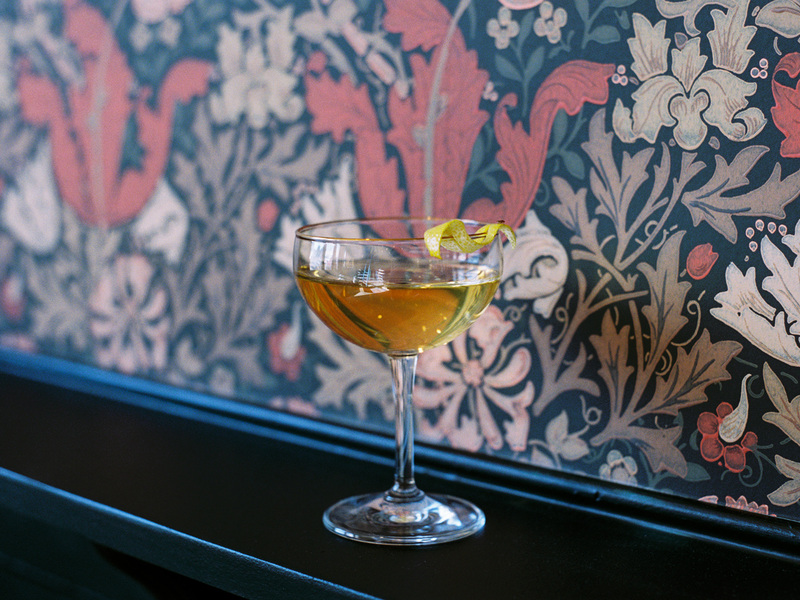 Unlike New York City’s deli scene, the West Coast was generous with its sprawling space, leather-slicked booths and big tables and equipped with a full bar. The combination—along with the dark lighting inside—turned the Jewish deli into the perfect meeting spot for movie studio execs and celebrities in the mid-20th century. David Sax chronicles LA’s rise in his well-researched book, Save the Deli. He notes how matzo ball soup was always served at Universal Studios and local deli icon Nate‘n Al catered Academy Awards after-parties. And as Hollywood flourished, so did Jewish delis. However, not everything has remained golden since that era of film. That shift is felt throughout the city. At Canter’s Deli, foot traffic has been down 12 percent this year, and next-generation owner Alex Canter has adapted to the food trends, adding a vegetarian matzo ball soup and gluten-free bagels to the menu. He’s even started his own delivery company, Ordermark, to grow online ordering for Canter’s as well as help other delis flourish in a new dining age. As Sax writes in Save the Deli, the space was “built to feel like a cross between diners and country clubs.” Freedman adds one more descriptor to that definition: steakhouse. He and the team are doing just that. 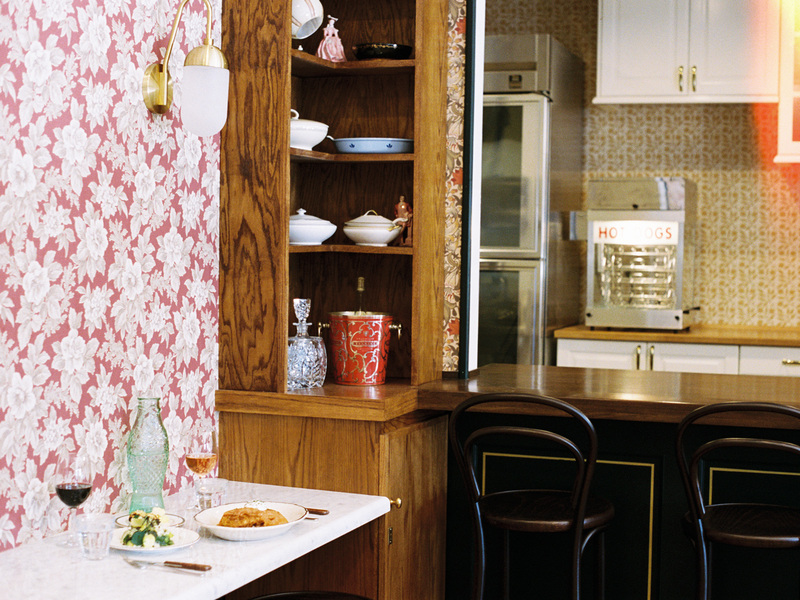 Instead of the light, bright and airy California aesthetic with big windows, white-washed walls and subway tiles, there are remnants of the old-school deli with dark, yellow lighting, funky wallpaper, leather-upholstered booths, walnut counters and paper napkins. And while, there are certain things that are off-limits for interpretation on the menu—matzo ball soup, mutton chop and chopped liver, Johnson lists—a lot is also up for grabs. Take brisket. At home, Johnson braises it for a few hours in the oven. But at the restaurant, she’s giving it a smoky touch and piling on roasted bone marrow and fried potatoes. Or the pickles. 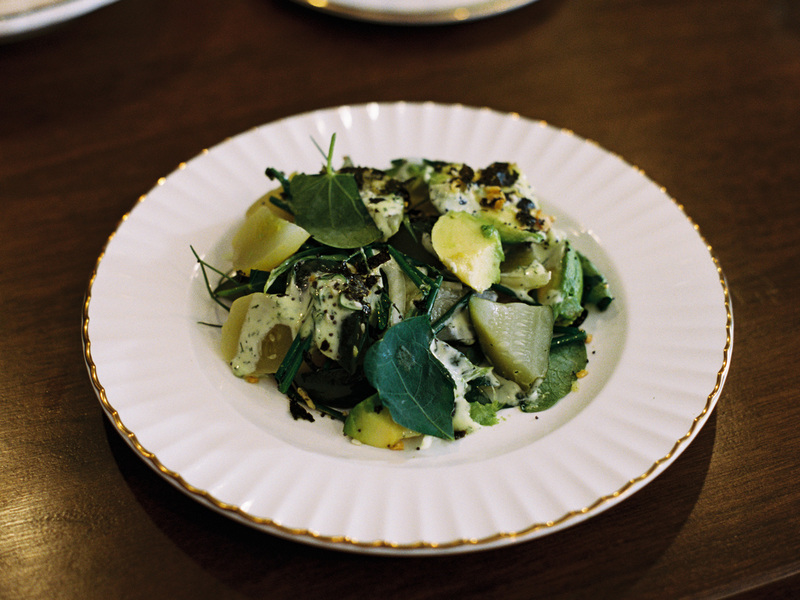 Instead of playing with the actual pickling formula, she takes the half-sours and turns them into a salad with avocados, nasturtiums and everything-spiced furikake. She did the same thing at MIMI, reimaging French classics with a sense of wonder. She turned boudin noir into a looser sausage served with a rhubarb tarte tatin. Turtle soup came with foie gras and bits of country ham. Cooking with built-in restraints, in terms of following a very codified cuisine, is Johnson’s strength, and it comes through in her collaboration with Freedman. 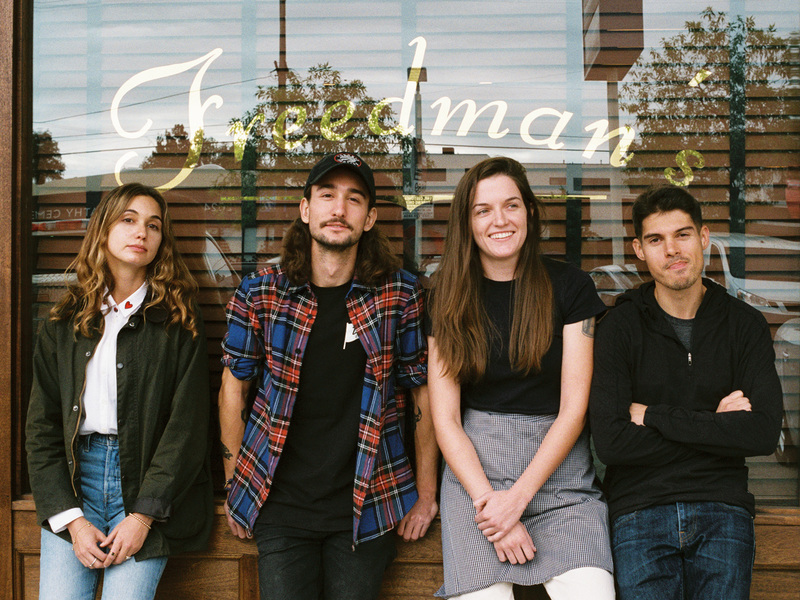 Coupled with his eye for detail, like seeing the counter at Langer’s and reinterpreting at the pass in his own restaurant, and love of editing things and creating a new thing out of it, Freedman’s is going to be something special—and different—when it opens. It taps into the old soul of LA’s Jewish delis and the new energy of new-wave delis from chefs but makes a third way forward.